2019: 4 races 27,000 metres completed. 2016: 9 races 75,440 metres completed. 2014: 1 race 10,000 metres completed. 2013: 12 races 83,045 metres completed. 2012: 12 races 50,000 metres completed. 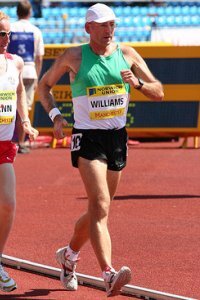 2011: 21 races 128,000 metres completed. 2010: 11 races 48,045 metres completed. 2009: 16 races 90,045 metres completed. 2008: 48 races 336,415 metres completed. 2007: 51 races 345,180 metres completed. 2006: 42 races 313,090 metres completed. 2005: 34 races 298,000 metres completed. 2004: 7 races 55,000 metres completed. 2002: 1 race 20,000 metres completed.